Wouldn't be incredible if Disney and Starbucks came together to make a mega Coffee house and dropped it smack dab in the middle of Downtown Disney at the Disneyland Resort. You know what they say, "When you wish upon a star, your dreams come true..." Well they did and it is glorious! 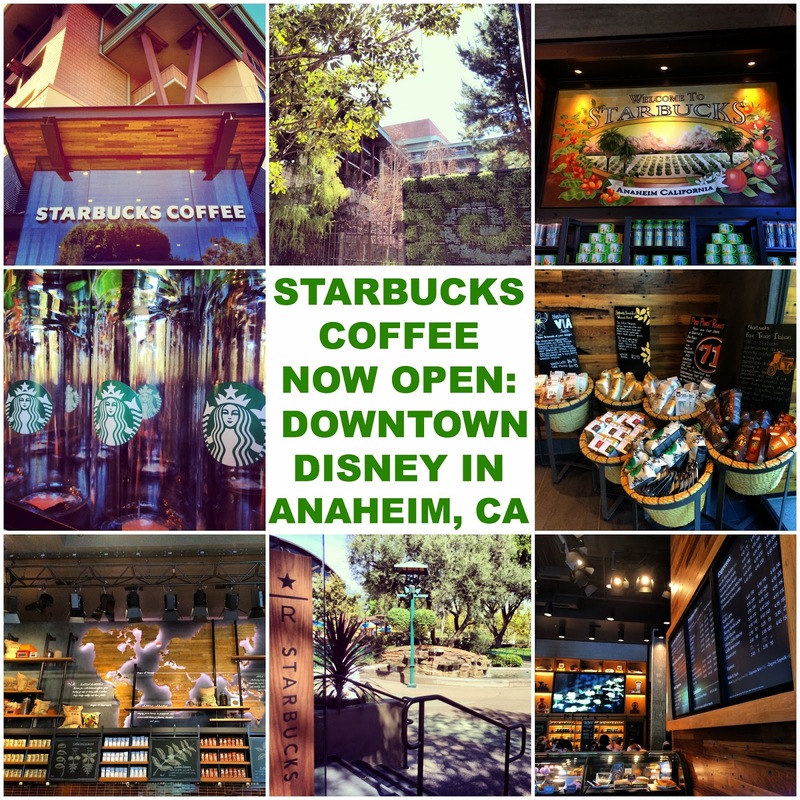 The most beautiful Starbucks Coffee location has just opened right next door to the World of Disney Store. Just as you come off the tram and head down in the direction of Disney Parks, you are met with the most aesthetically pleasing Starbucks, we've ever seen. This place is gorgeous, open, airy, and HUGE - but we wouldn't have expected anything less from Disney. 1. The lines were very long and there are no fastpasses! (Say it isn't so!) However, there are a lot of windows open with lots of hustling employees and all things considered, it did move fairly fast. 2. The Downtown Disney location does not use the special Disney version cups, so if you want Disney whimsy, those are only sold inside the two Park locations. 3. This DTD location does accept Starbucks gift certificates and gift cards. Sweet! Here are some of our favorite shots from the new location. In case you can't tell - it's so very magical! Leave a comment if you find it, but don't say where. I found the Hidden Mickey!!! I spotted it right away! Can't wait to meet you all at Disney Social Media Moms! Just found your blog when I was looking around for Disney lifestyle blogs. You girls are so cute! I'm in Florida but I am ALL FOR the Starbucks locations at the WDW parks. I get coffee there pretty much every time I hit the parks now! Love your photos of the new location at Disneyland :) I'll be following your posts! FYI, I have used Starbucks gift cards at the Market House on Main Street many times. I was told the only thing they cannot do re gift cards at the park locatins is reload.